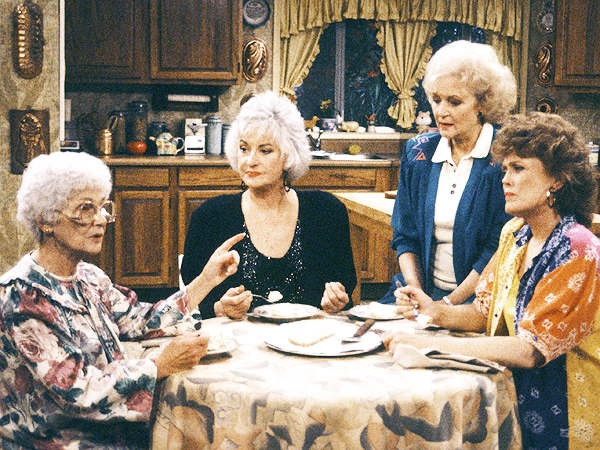 The Golden Girls taught us a great deal through their experiences on the show. We learned lessons about love, friendship, motherhood, communication, putting yourself first and taking chances just to name a few. We gain all these lessons through the course of seven blissful years when the show aired. In this past year I’ve learned a great deal about myself, my relationships and what I need to be my best self. People are going to doubt you and your decisions, and that’s okay. Let them be consumed by doubt. You have succeeding to do. This one hurts, especially when it’s a family member or friend who expresses doubt or undervalues what you’re doing. They may not get it and that’s okay because luckily for you, they don’t need to for you to crush it. Just stay focused on you and your goals. The way you are (and always have been) fits perfectly with your life path and how you choose to live. I know this sounds super broad and almost cryptic, but I’m learning more and more each day that my many layers are what make me unique, and that there are some things I should have done a long time ago because they felt right and they still do. Now, I’m more sure than I’ve ever been about the things that feel right for me. You will figure it out. No matter what, you will figure it out. Nothing is out of your reach. THIS THIS THIS. For so long things seemed out of my reach. When someone had suggested in the past that I should start my own studio or business it sounded so unreachable that I immediately dismissed it. Even simpler things like selling at big craft fairs and/or conventions seemed like something THAT person did, over there. That wasn’t something I could do. And yet, here I am and I’ve done it. It was scary and new, but I did it. It wasn’t out of my reach at all. Saying NO is really freeing. If you need to create boundaries for others or for yourself, do it. They will alleviate so much stress. You can only control how you behave, not how someone else responds to it. And if they respond poorly and you did everything in your power to be honest and diplomatic, that’s an issue for them to resolve. I’ve learned a great deal about myself and how to better temper my reactions to people and things. Sure it may be hard for the other person to hear my honesty, but unless provoked by an extreme circumstance I like to think I respond with directness and diplomacy. If someone can’t handle that, I can’t force them to and at the end of the day I can at least know that I did my best to communicate and extend a bridge so the other person can better understand me. Thanks, 2018. You were an extremely challenging and productive year filled with lessons that I needed and will remember. 2019, you have some big shoes to fill.